At RE we are all about remarkable thought, and particularly enjoy when that 'thought' leaves room for a laugh. It was in this vein that we decided to jump on the band wagon of April 1st, the topic of brand permanence in our sights. 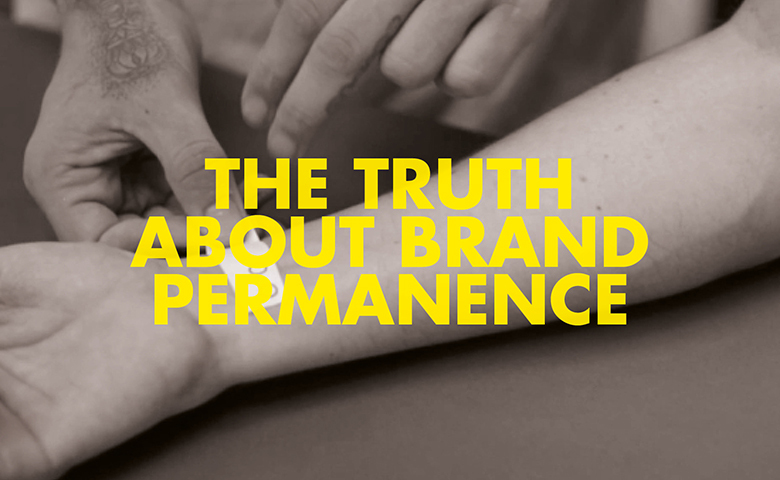 The idea of 'brand longevity' has long been a point of discussion in our industry. Michael Johnson articulately raised it on his blog back in 2008. Is a flexible morphic brand that reflects the ever-changing tides of fickle social interest the way forward, or will the monolithic giants live to rule another day? Who really knows? There is no ‘one-shoe-fits-all' solution. Which we find ruddy refreshing. We would like to have it down on record that despite our articulation on film, we promise (Scout's honour) that we are not a bespectacled bearded cult kneeling down to a brain washed central belief system that is a tattooed team. We do however, worship at the altar that is a good idea. This is what we aimed to achieve on Tuesday: to take the mickey out of ourselves (and the associated corporate jargon). Did we have you believing? Guffawing? Or a revered WTF!? Either way, we hope it made a mark on your day. DISCLAIMER: No hipsters were harmed in the making of this film. Director's notes: There were so many hands in this box of popcorn it's hard to acknowledge everyone involved. However there are a few that went the extra mile and worked tirelessly for four days; to write, direct and craft the final edit of our little film ­ Erin, Alex and Sam McPint. And let's not forget our live canvas - yes real ink was pressed into skin - ­Anna, who donated her arm for the cause and came away with an addition to her tattoo collection.